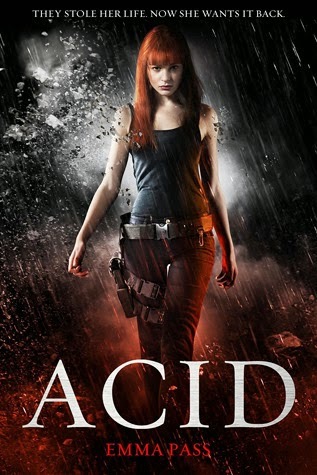 ACID's cover and synopsis promised a psychological, action-filled thriller with a tough as nails heroine out for revenge. They're not completely misleading. Emma Pass created a dystopian military-state Britain and a protagonist with more mental problems than Jason Bourne. Unfortunately, ACID disappointed with little action and no thrill. The terrorist group was a nice idea, though the execution is rather boring and slows down the pacing and the plot considerably, unless you're interested in seeing Jenna get flustered by "romance." It wasn't fully fleshed out, like the romance and much of the story. Jenna spends a lot of time telling us how tough and capable she is...and we see almost none of it. I felt like the book started at the wrong point. We get recalls of prison days, but seeing her in prison (not throwing up and passing out) might have started the story with a firmer impression of her capabilities. More walk, less talk if you will. As it is, she spends most of the book doing little more than babysitting Max. Without giving any spoilers, I get that some of the conveniences are plotted, but still, too many convenient moments. The narration constantly cut out and skipped over major periods of time. This is fine if it skips the boring and jumps into the more exciting parts, but the opposite almost seemed to be true. I didn't especially care about any of the characters, and I definitely wasn't invested in the romance. Max is near useless. Jenna doesn't fare much better most of the time. Jenna makes some horribly stupid decisions. Several of which could get her or others killed. You're supposed to be smart! The ending was unbelievably convenient. Everything rolled up neatly and fried like a veggie egg roll- a bit of fried dough and no meat. 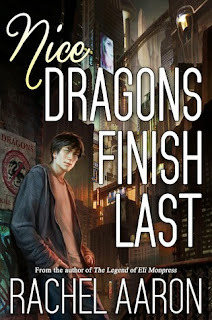 The ending made me think this would be a series, but it doesn't appear to be on Goodreads. Does anyone know? Regardless,I wasn't attached to the characters and constantly raised an eyebrow at the characters' actions and plot shifts. There are good ideas, but the execution made for a slow, somewhat boring read. If, however, you're looking for a dystopian adventure with a female protagonist and are willing to suspend lots of disbelief, you'll probably enjoy this. eeek sounds awful. You know I have to say I just don't see many Random House YA books that sound appealing at all. I've read at least three I can think of off the top of my head that have bombed for me. I'm glad I don't get or request these for review. It was pretty bad. But at least I got through it quickly. 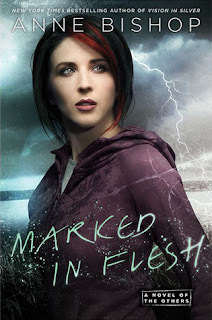 :) I don't think I've read many Random House YA books lately...or I haven't noticed if I had. Hmm...must go check! To the Batmobile! Oh man. Yep, AVOID AVOID AVOID, that whole alarm system went off in my head. Even the positives seemed not-so-positive. All the negatives are what I loathe (I NEED to connect and care and too many stupid decisions leave me very impatient). Thanks for the review! Haha, in the book's defense, I should probably note that I wrote the review a little bit after reading...when the positives have faded from memory and the negatives are at the forefront. But yes, unfortunately I can't recommend this one. You're very welcome! 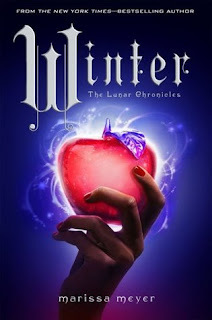 I recall liking this one a bit more than you did, but now that some time has passed I have to say that even though I agree that it seemed like this would be a series, I don't think that I would continue reading. I saw a bunch of good reviews and was pretty excited for ACID. The Goodreads info was unclear about its series status, but I'm with you; I most likely won't continue if there's a sequel. I agree. Whenever events line up too perfectly, I tend to think "lazy plotting." You may like Jenna's story more if you enjoy the relationship angle. Thanks for stopping by! Oh. Oh my. I WAS really excited to read this one, but I could never get a chance. 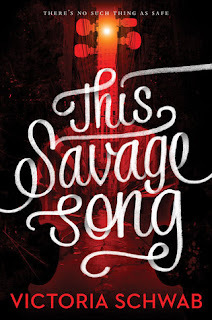 I'd either have to buy it (which wasn't going to happen anyway), or borrow it from the library (which was a possibility), but this one is sinking straight down in the TBR list. 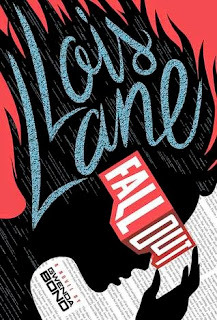 I need to love and connect with the characters - and that doesn't seem to happen in this book. Oh well! Excellent review, Kel! I feel your pain. I was SO excited for it, and the library never had it, and then I was able to grab it with a gift card...and no. :( Twas not meant to be. Oh well. On to other books. :) Thank you! Oh dear. Sorry this didn't work for you! I'll be staying away from it now too, so thanks for your review! Hope your next read is better. Funny you mention the MC boasting about herself. I've read a couple of books like that lately. One was Dear Killer, which was awful, and the boasting was awful. The other was I am the Mission, where the boasting was tolerable but totally unnecessary.